I had this casserole for the first time at Christmas a few years back. My Mother in Law always puts out such a spread for everyone…and there’s always leftovers. I ate this stuff every day after Christmas until it was gone. I’ve made it myself for three separate holiday dinners and the feedback just confirms what I thought. It’s a winner. The flavor of the spinach doesn’t overpower the artichoke and there’s just enough cheese. Even my 4 year old cousin loved it. I tweeted about this casserole and maybe posted a pic or two over the holiday and everyone kept asking for the recipe, so here it is. Enjoy! Preheat oven to 350°f. Lightly spray 9×13 glass casserole with non-stick spray. 2. Drain artichoke hearts in strainer and press as much oil out as possible. Coarsely chop and then add to bowl with spinach. 5. In pan that onions were sauteed in, add last tablespoon of butter and melt over medium heat. Turn off heat, add breadcrumbs and toss to coat. Sprinkle buttered breadcrumbs over top of casserole. This is my Grandma’s recipe for shortbread. I probably made a dozen batches of this for Christmas presents. Very easy to make…you only need three ingredients. Hey, if @lyndseo can make it, so can you! Press into 9×15 jellyroll pan or 9×12 pan sprayed with cooking spray. Use a cookie stamp or a cut glass dish to press designs into the dough. If you don’t have anything like that, you can use a fork to prick holes in the top. I used vintage candy molds for the cookies pictured above. Bake at 325°f for 35-40 minutes. 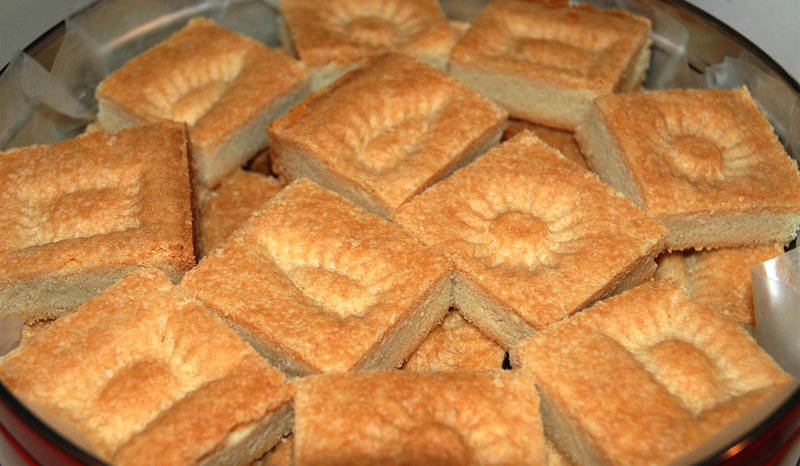 Shortbread should be light golden brown. Cut in squares when hot from oven. Allow to cool in pan on wire rack. Store in a sealed container.